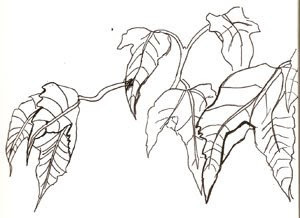 I was sitting outside one day, drawing these leaves. Someone I really adored walked by, and being timid, I jumped up from my seat to go somewhere else. Of course, I did so with such disgrace that I actually lost the pen I was using.